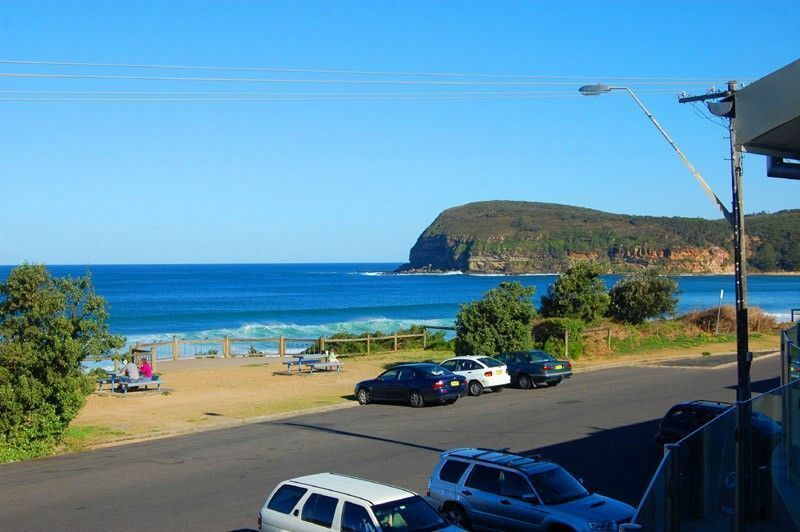 Family Accommodation - Opposite Beach - Sensational views!! Sensational views from this air-conditioned, upstairs apartment directly across the road from the beautiful Copacabana beach. Wrap-around balcony with views of Copacabana Beach. State-of-the-art kitchen with microwave and dishwasher. Main bedroom contains queen size bed and ensuite. This bedroom is separated from the living area by a concertina louvred door. Second bedroom at the rear of the unit with two sets of bunks. Lounge room has a flat screen television and DVD player. There is also a main bathroom near the second bedroom. Laundry has a front loader washing machine and dryer. Linen not provided. Relex and enjoy the ambience or pop downstairs to the coffee shop/restaurant.